The National Sustainable Agriculture Coalition honors UC Santa Cruz alumnus Mark Lipson (Merrill, ‘81, environmental studies). 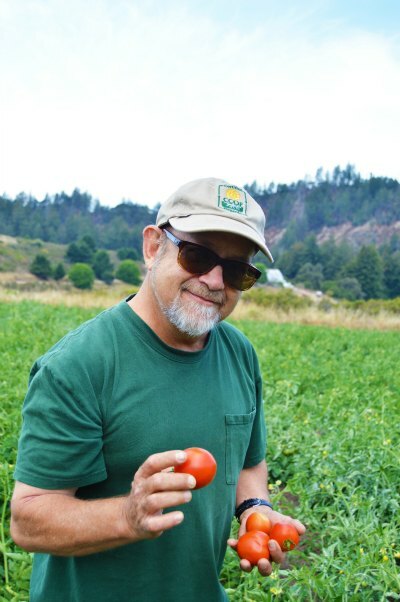 Now a Research Associate at the Center for Agroecology and Sustainable Food Systems, Lipson is a well-known organic agriculture advocate and farmer, who has been a partner at the Santa Cruz-based Molino Creek Farming Collective for the last 30 years. Lipson also served as the Organic and Sustainable Agriculture Policy Advisor for the Office of the Secretary of Agriculture from 2010-2014. The award was made to honor Lipson’s years of service to the organic and sustainable agriculture movement, and his groundbreaking work on Capitol Hill shepherding in historic changes, such as the much-celebrated five-fold increase in funding for organic research secured in the 2008 Farm Bill. “Mark Lipson has worn many hats over the years: farmer, activist, USDA employee. Through it all, from Santa Cruz to Capitol Hill and back, he has remained a champion of and thought leader for the organic farming movement,” said Brise Tencer, Executive Director, Organic Farming Research Foundation (OFRF). “I am deeply grateful for Mark’s decades of commitment to OFRF, during which he has made innumerable advances for the organic community. We are truly lucky to have someone like Mark on our side. His achievements in organic and sustainable agriculture are truly impressive and dwarfed only, perhaps, by his ability to grow the very best tasting tomatoes around,” Tencer said. Lipson started his advocacy career as the first paid staff member at the California Certified Organic Farmers (now the nation’s largest certification organization), later he worked as the policy director at the Organic Farming Research Foundation (OFRF), and eventually he made his way to the USDA, where he helped lead the Know Your Farmer, Know Your Food Initiative and chaired the agency’s organic working group from 2010-2014. “The tendency in movements is to be provincial, to only understand the part of the elephant that you’re standing next to,” said Mark Lipson, Research Associate with the Center for Agroecology and Sustainable Farming Systems at the University of California Santa Cruz (UCSC). “That’s why the diversity of skills, experience, and knowledge that comes from working over the years with coalitions like NSAC is priceless. It’s what really mattered when I did go into the USDA, to have that knowledge, because everything I worked on required having that breadth of awareness. I knew who to call for things that I would never had a clue about if I hadn’t been part of working with NSAC,” said Lipson. Recently Lipson left his role at the USDA and returned to his alma mater UCSC, where he first became passionate about gardening and organic production. Past recipients of the Sustainability Champion award have included Mark Halverson, Senior Counsel on agricultural policy for former Senator Tom Harkin (D-IA), Claire Benjamin, former Legislative Director for Representative Chellie Pingree (D-ME) and current Executive Director of Food Policy Action, and Duane Sand, life-long conservation activist with the Iowa Natural Heritage Foundation.